Hummus is just one of those things man. 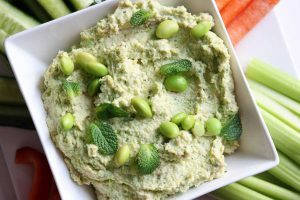 Either way, this hummus is a healthy twist on the much loved wonder dip. 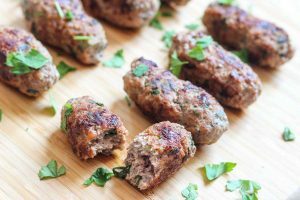 And for those of us keeping track, this recipe is low carb, gluten free, vegetarian friendly, and dairy free! 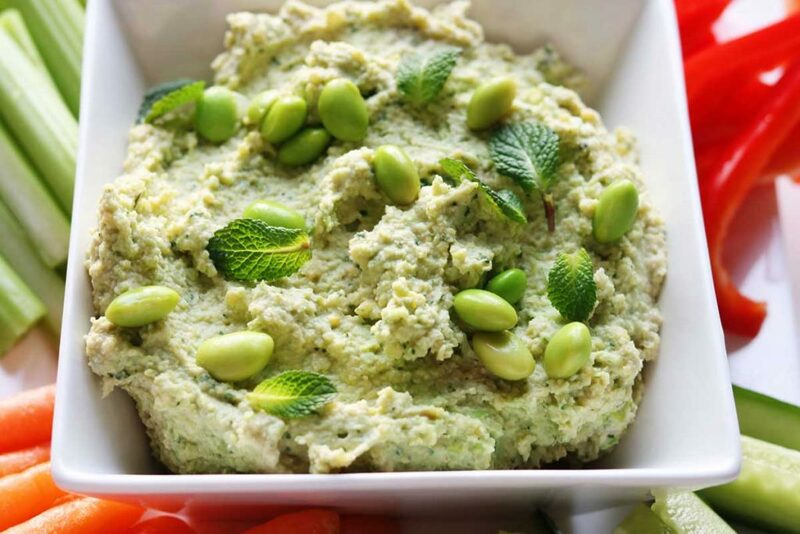 Put the chickpeas, beans, mint, tahini, and garlic in a high-speed blender and puree it until it’s smooth. Add in the lemon juice and olive oil before seasoning the mixture (to your taste) with salt & pepper. Blend the mixture again. Add water as necessary to achieve your desired texture. 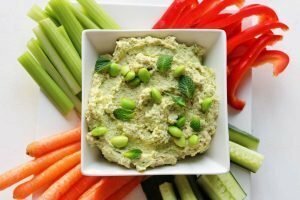 This tastes great when served as a dip with vegetables. 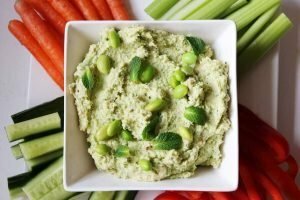 What did you enjoy this dip with? Let us know in the comments section below.